Ok that is one of the cutest ideas I have seen. We did the whole giant card with candy words this year and it was a total hit. Thanks for sharing this! I am going to store it for next year. Susan- is the printable not just adorable!? You should really check out all of the free printables on her site- she has some great ones. I am having a giveaway on my blog. $27 sc to get a fabulous organizer from Cmmoca’s handmade shop. ends 11/5. Leave me a comment to win! If I was a teacher – I would love this! It is so darling! I love these printables! very cute! I have been looking for the perfect gift for the teachers I work with and this is it! as a teacher I must say…one of the cutest teacher gifts I have seen! this would be so fun to receive! Where did you find those small Hershey Bars? 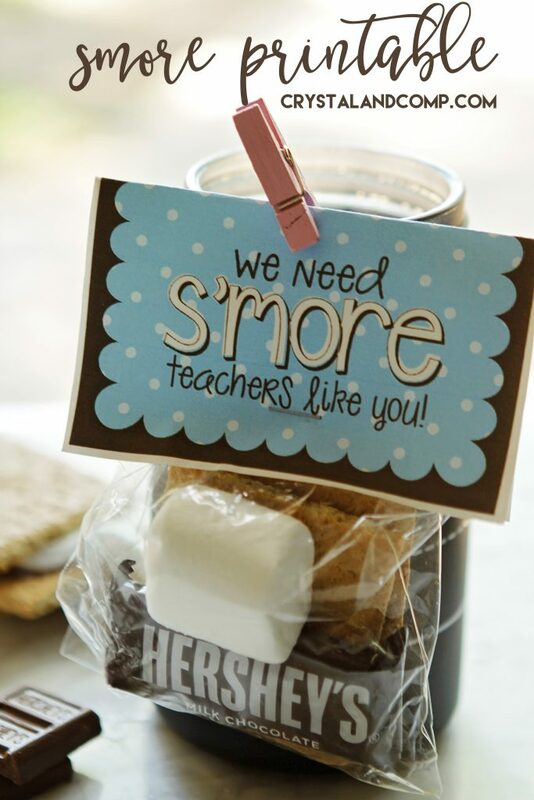 This is such a cute idea…our teachers are going to love it! Tammy- I got them at Target or Walmart. They come in a pk of like 10. They are just mini’s… you can get babe ruth, snickers, etc. I bet dollar tree would even have them. Oh, now I can picture how they are packaged. Thanks! What a fantastic idea! Always looking for cute ideas for our preschool teachers. You can bet I’ll use this one. Found you through Pinterest…I’m your newest follower. this is bus driver week and was wondering if I could change it to bus drivers! Did this gift for the holiday. Huge hit for my son’s elementary school, but also at the high school that I teach at! Great idea! Bags, hershey bars, graham crackers, and marshmallows totaled about $30 for about 90-100 bags!! Now they make flat marshmallows just for s’mores. Thanks for the great gift idea!! That makes me so happy! Thanks for sharing. And $30 for 90 gifts…. um, that is excellent. Would love this for ‘nurses’. . .
Kelli makes all of my printables and her pricing a very, very affordable. Do you happen to have this tag where I can print 2 on a page? Just trying to eliminate wasted cardstock. Hi, I’m Jaime. I run a blog called The Dress-up Drawer and I was just passing through. Love your blog! 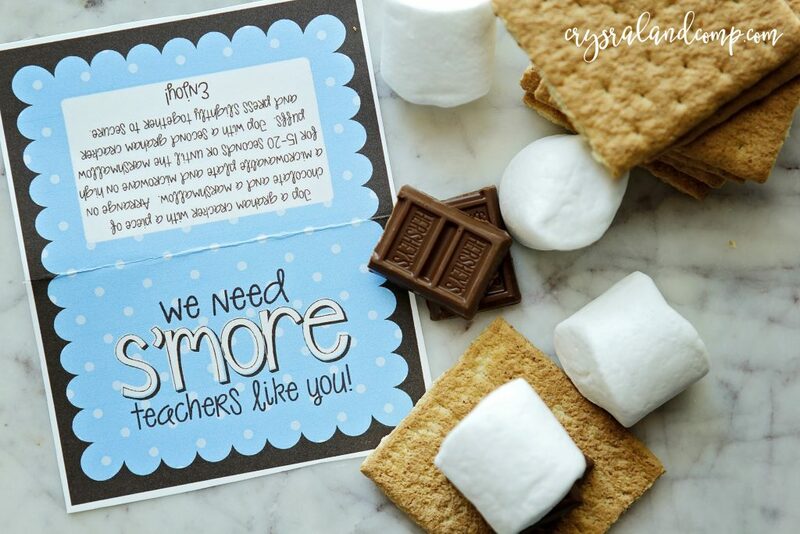 I am not the original creator of the teacher smore printable. You would have to contact that site owner to see if she can modify it. Kelli from 3 Boys and a Dog created the Christmas smore. You can reach her here to see if she can put 4 on a page (http://3boysandadog.com/deals/printable-designs-and-digital-graphics/). I know it would require making the printable smaller. She and I are working to make our printables more paper friendly going forward. Oh what a cute idea! My kids were homeschooled but I could have used this idea for their Sunday School teachers when they were little. I have a few friends who are teachers and I happen to know that the last thing they need is another mug, lol! I’m sure they’d love this. What a great idea to give to Sunday School teachers! Love that. Great idea! 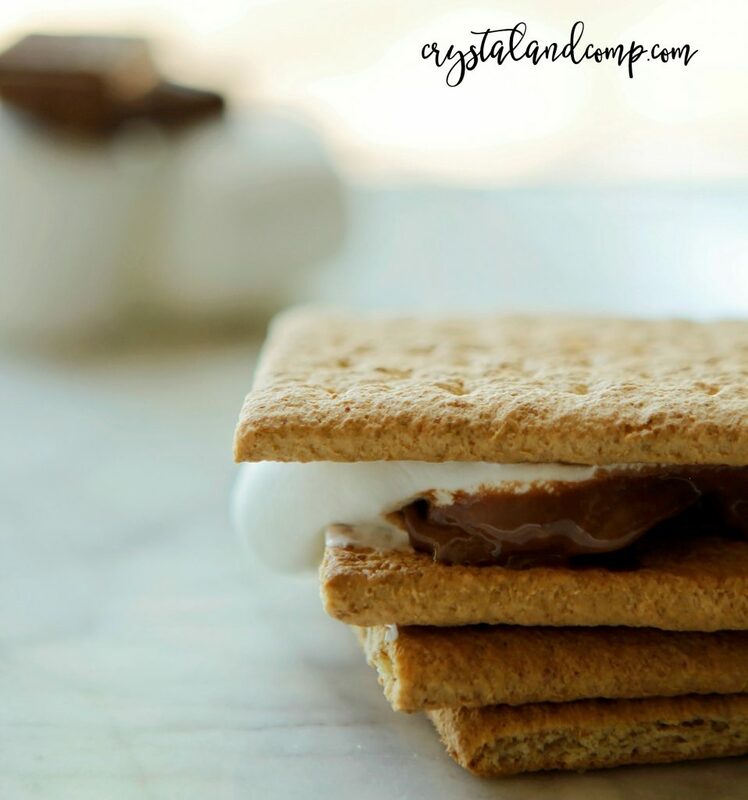 How do I get a whole sheet of these S’more tags? Socorro- you would have to contact the original printable creator and ask her if she can modify it. it gave it a twist with the letters colored in ..
Super cute and inexpensive!!! Thank you for the idea! What a sweet idea – thank you I am featuring this on the Kids Co-op. What a lovely and clever treat! I’ve had a few of my students give gifts like these and they’re always so appreciated. A great pick-me-up from a long day of teaching or even on a weekend. Thanks so much for sharing this with us on #shinebloghop this week! That’s such a cute idea! My daughter would love to bring this into her teacher! Thank you so much for linking up with us at the best of the blogosphere! This is absolutely darling! I’m a bit in love with it!! Thanks for linking up to us on Throwback Thursday!